Who Can Be Sued in an ADA Action, the Landlord or the Tenant? The answer to this question is: both landlord and tenant will be liable to a third party plaintiff under the ADA. In Botosan v. Paul McNally Realty the landlord argued that it could not be liable under the ADA because contractually it was the tenant’s responsibility to comply with the ADA. The court rejected this argument and ruled allocation of liability between the landlord and tenant is a private matter between them but with respect to third parties, either can be liable. It is for this reason that commercial leases should include appropriate indemnification provisions so that liability can be allocated between the parties. What Types of Changes must Be Made to a Property Under the ADA? 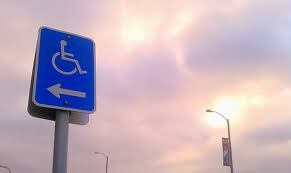 The ADA impacts both commercial landlords and tenants. In many cases the ADA requires “barrier removal” for existing structures and prevents modifications or new construction that can impede access by the disabled. (42 U.S.C.§§ 12181 & 12183). This Barrier Removal process includes installing ramps and cutting out sidewalks and entrances, creating specially designating and accessible parking spaces for the disabled, widening doors, installing special door hardware, installing grab bars in toilet stalls and raised toilet seats, repositioning shelves, adding raised markings on elevator buttons and signs, and removing certain types of carpeting. Information on these requirements is contained in the Department of Justice’s ADA Regulations and Technical Assistant Manuals. Recommendations. Because of the recent proliferation of ADA lawsuits, we recommend that all of our clients, whether they are landlords or tenants, have the premises inspected by an ADA expert. Indeed, under the new proposed legislation, landlords will need to disclose in their leases whether the property has been inspected by a Certified Access Specialist under the California Certified Access Specialist Program (CASp). Adina T. Stern has been negotiating, drafting and litigating commercial leases for over 30 years on behalf of landlords and tenants in Orange County, Los Angeles County, Ventura County, San Diego County, San Bernardino Couty and Riverside County. She litigates commercial lease issues throughout the State of California.